For filmmakers, syncing audio recorded on location separately from the picture has traditionally been a chore. Camcorders, smartphones, and digital SLRs are all capable of recording sound along with the picture, but as any seasoned video maker will tell you, those microphones produce far from quality results. It’s even more difficult when shooting interview footage, weddings, or live events that requires footage spread across multiple cameras. Editors can wind up spending more time organizing content than they do actually making creative choices, a situation made worse when there’s a deadline looming. As fate would have it, a group of smart coders have managed to put their thinking caps on to engineer software that not only rises to these challenges, but is so mind-blowingly easy to use that literally anyone can use it. The crown jewel of Red Giant’s Shooter Suite 13 is PluralEyes 4, which makes syncing footage from multiple cameras drop-dead easy. Red Giant is a company known for innovative software designed for filmmakers in the digital age. While they offer standalone versions at higher prices, those on a budget can save big by purchasing one of several packages, which bundle applications and plug-ins into relevant themes. As the name implies, Shooter Suite 13 ($399) is intended for users who need to ingest footage shot on location and prepare it for editing. Although previous versions offered additional features—noise reduction plug-in Denoiser II and color utility LUT Buddy, which are now exclusive to Magic Bullet Suite ($799)—the current lineup focuses on four tools. First introduced in late 2014 and available separately for $99, Offload is a lightweight application used to copy and backup footage in the field, regardless of which camera, media type, or format it was shot with. This software effectively replaces the former BulletProof, ditching the more comprehensive but often cumbersome user interface for a more streamlined solution. With Offload, it’s a simple matter of connecting a media source, selecting where you want to copy the files to, then choosing an optional second location as the backup. Copies are compared against the original as they’re being processed to guarantee an exact duplicate has been made before the media is erased and reused. The simplicity of Offload spills over into PluralEyes 4, the only application in Shooter Suite 13 to get a complete overhaul, and what a wondrous change it is. I’ve reviewed this utility twice in the past for other publications, and the technology is nothing short of amazing. There’s simply nothing else like it on the market. 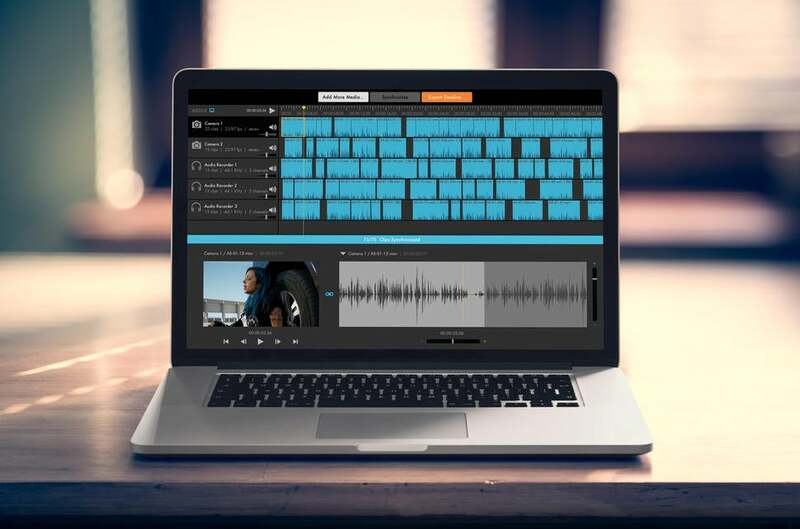 The software analyzes sound recorded on two or more cameras, then slides clips into rock-solid sync automatically, ready for editing. PluralEyes 4 addresses two minor limitations I’ve noted in the past: Earlier versions often required a bit of fiddling for best results, and could only be performed within the application itself. Red Giant has practically made the UI nonexistent here, and better yet, the entire process can now be performed directly from a panel inside Adobe Premiere CC without ever opening the standalone application. That’s because PluralEyes now acts as an HTML5 extension, which literally makes the process as simple as dragging clips into a timeline and clicking Synchronize. Before you even have time to grab a cup of your favorite beverage, it’s all done. I actually had to do it several times in order to wrap my head around just how seamless, accurate, and fast it was to use the software this way. 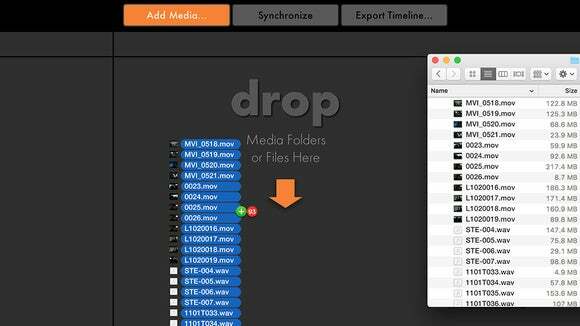 XML data can be imported to or from Adobe Premiere CC and Final Cut Pro X, or you can drag-and-drop raw footage directly into PluralEyes 4 to sync prior to editing. Unfortunately, there’s no such integration available for my favorite editing software, Final Cut Pro X, but thankfully you can still import an XML file into PE4, sync, and send it back to a new FCPX project. Media can also be dragged and dropped directly from the Finder, but this version does remove support for Avid Media Composer, which was frequently buggy. The dark, minimalist UI looks great, adding unity and tight integration with Offload, along with a ton of ways to spot-check audio waveforms against your footage without altering the original media. The rest of the Shooter Suite 13 lineup is comprised of a pair of $99 post-processing plug-ins that remain largely untouched from previous versions. That’s something of a disappointment, because neither Final Cut Pro nor Motion can be used as host applications. Only Adobe Premiere or After Effects CS3 and higher are supported. Otherwise, Instant 4K does a bang-up job of upconverting standard-definition footage to HD or 4K using presets that provide higher quality results than After Effects alone. The final component is Frames, used to convert older NTSC or PAL content to true 24p (23.98) without interlacing, make sure colors are broadcast-safe, or add letterboxing for a cinematic look. To be honest, Instant 4K and Frames have always felt somewhat out of sync (pun intended) paired with PluralEyes and Offload, which are intended for prep instead of finishing. Odd couple aside, if you own a previous version, the $99 upgrade is a no-brainer. But here’s the thing: For new buyers of Shooter Suite, you’re effectively paying for PluralEyes and Offload, then getting $197 worth of plug-ins for free. 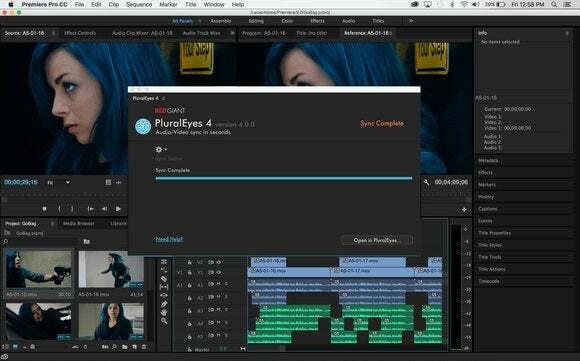 That’s an exceptional deal for Adobe users, but FCPX fans who don’t need Offload will save a few bucks by purchasing the standalone version of PluralEyes instead. Although the included plug-ins still cut Final Cut Pro users out of the picture, I consider Red Giant Shooter Suite 13 to be an essential post-production tool. PluralEyes 4 is so mind-blowingly good at automatic sync, you’ll wonder how you ever survived without it. 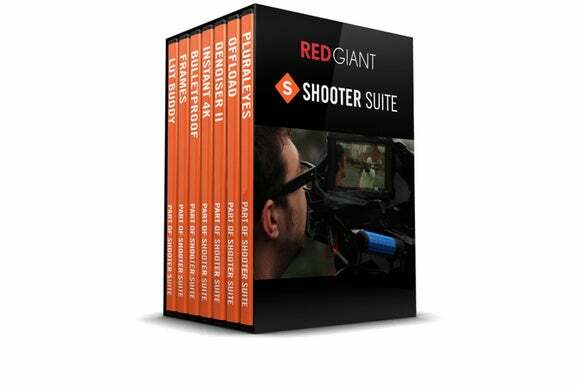 Red Giant Shooter Suite 13 combines an impressive automatic sync tool and essential post-production prep tools for media backup in the field with a pair of conversion plug-ins thrown in for good measure.